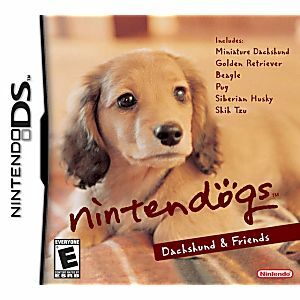 Raise your own puppy with Nintendogs Dachshund & Friends! 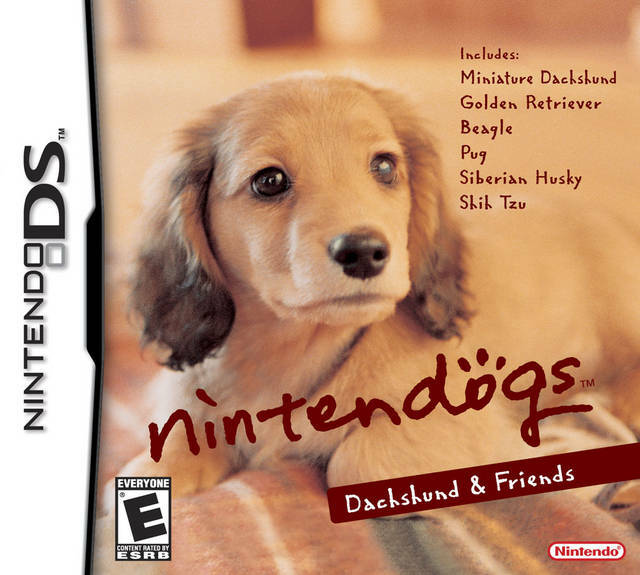 Pick from multiple breeds, ranging from Siberian Husky to Miniature Dachshund, and then take care of and train the puppy using the touch screen and microphone. If you train your puppy well enough, you can compete in dog shows and agility contests to unlock other items and puppy breeds.When you earn enough cash, you can buy even more puppies to live with yours. It's a never ending circle of puppy love. This game is perfect for everyone!! It is literally the only game I know of that seems to be made for just about anybody. It is also wonderful for young children with the simple game design and simple way to play. This Game Is Fun And Also This Site Is A Wonderful Place To Buy Used Games Will Buy Games Here Again!! the game fun to play, but the mini games get a little hard to play.